What is the Next World – the world of Corp Wars? Corp Wars, Games, News Comments Off on What is the Next World – the world of Corp Wars? Our future is their past. The seeds of our civilization survived by the actions of its destroyers. Much has changed. The Nommo Empire holds most of Africa – ruled by an elite class of techno-shamen who call upon spirits of the past to teach them the secrets of the universe. An industrial giant resides in the largest open mine on earth. Kyburgh, the last megacity, home of unscrupulous corporations whose tentacles of aquisition crawl from that hole in the ground to grab as much of the outside world it can and drag it into the pits of Kyburgh. Scattered across the world are self-sufficient survivalist city-states. Enklaves are remnants of business-owned territory, government safe-houses and the fortresses of armies cut off from their superiors. They are tough, leading strict lives and commonly sacrifice themselves for the greater good of their hive. Outcasts and tribeless wanderers gather in the wastelands, forming scavenging gangs. Sometimes these settle down to form new tribes and villages. Some times they murder and pillage their way across the land like a plague of locusts. They’re the wastelanders, or wasters. Bandits, robbers, thieves and murderers of a desperate and ruthless kind. Hardsuit, Landmates and Mecha, Oh my! Corp Wars, Corp Wars: The Siege, Games Comments Off on Hardsuit, Landmates and Mecha, Oh my! The previous Corporate Cavalry unit for the Siege had three-section arms. The purpose of this unit is to carry a heavy weapon usually requiring a stationary gun post. Its primary application is as a mobile, anti-infantry support weapon. This version has slaved robotic arms like Masamune Shirow’s landmates, but set closer to the wearer’s shoulders and rather than copying the wearer’s arm movements, it assists in carrying and aiming – this is a semi-automated system that learns from its user. If you compare their surfaces, there are more synthetic muscles and fiber-based armour on this one. The change came from combining the sketches of the hardsuit snipers with the research that went into the previous CAV unit. Corporate troopers and a large hardsuit (Shirow landmate) design for the Siege. The Development is starting to need a lot of designs and here are some of them, from the Corporate faction. 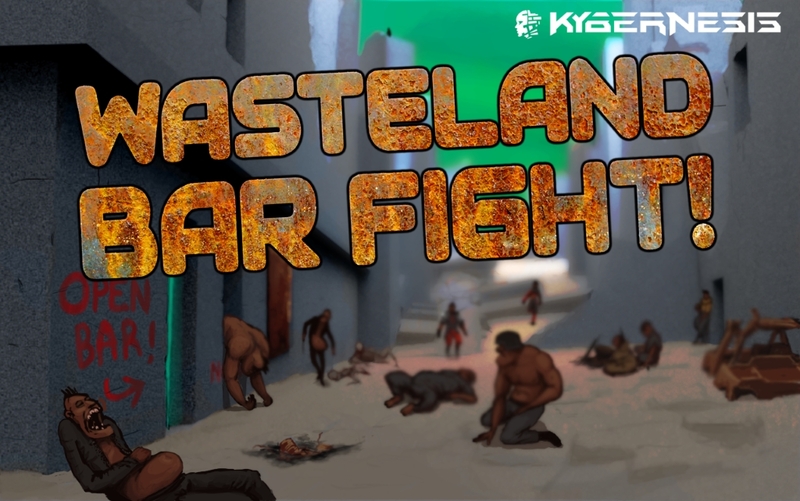 Wasteland Bar Fight – Beware the Bully! Games, News, Wasteland Bar Fight! Comments Off on Wasteland Bar Fight – Beware the Bully! All right! Remember, when Wasteland Bar Fight is out, Waster Bully up there is going to come running to beat you up! 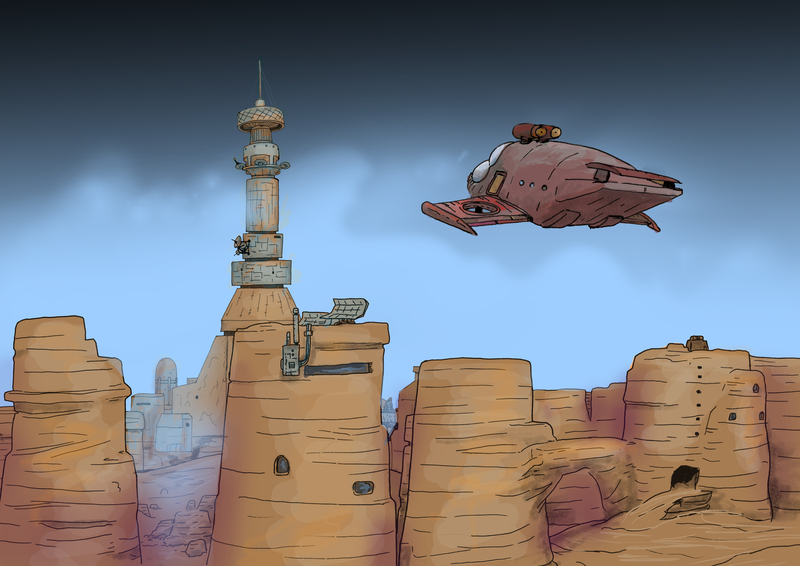 This is concept art and not finalised.